Living with Hashimoto’s thyroiditis (HT) can feel like quite an adjustment. However, with a few basic changes to your diet and lifestyle, you can begin the healing process. According to the American Thyroid Association, over 90% of underactive thyroid issues in America are Hashimoto’s thyroiditis related. When autoimmunity occurs, the body’s immune system deems healthy thyroid cells as a threat and produces antibodies to target and destroy them. This attack on the healthy thyroid cells causes inflammation and tissue damage and will eventually reduce thyroid hormone production. As a result, many experience a sluggish metabolism and increased low thyroid symptoms. But have no fear. The road to recovery doesn’t have to be overcomplicated. There are things you can do right now to improve your Hashimoto’s thyroiditis. 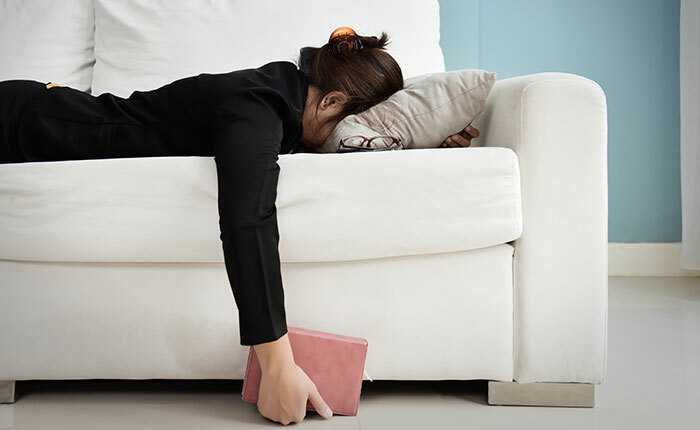 Below are four practical ways to combat symptoms of HT. 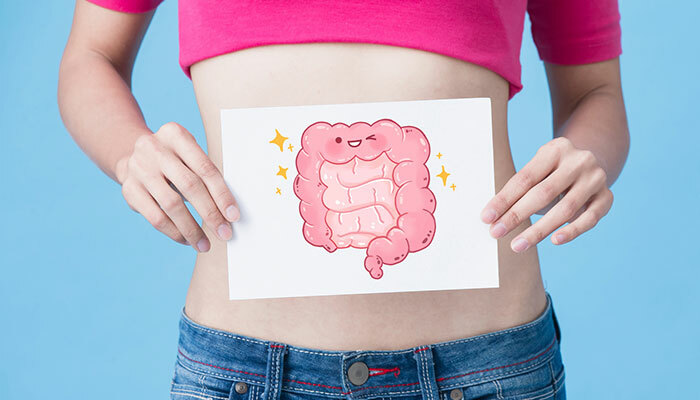 Intestinal permeability, also known as “leaky gut,” a common condition found to correspond with autoimmunity, increases when gluten is ingested. Gluten has a similar composition to the thyroid hormone, and since your immune system is identifying your thyroid as a threat, it tends to do the same to the gluten protein creating more inflammation. The food you eat may be aggravating your HT. Those who have Hashimoto’s more than likely suffer from leaky gut, which puts them at an increased risk for food sensitivities. Your immune system is already on high alert and will deem certain undigested foods dangerous and react to them. A functional medicine professional can provide comprehensive testing to help you identify what foods cause your body to respond in this way. Eliminating food sensitivities and adopting a treatment plan aimed at restoring your gut health can dramatically improve your HT symptoms. Stress management is essential for treating Hashimoto’s. Cortisol, your body’s stress hormone, can lead to inadequate thyroid hormone conversion, increased inflammation, and reduced immune sensitivity if left unchecked. 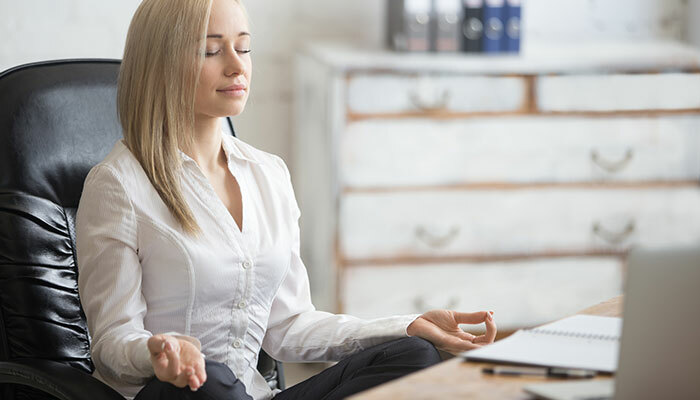 Activities such as mindfulness, meditation, deep breathing, yoga, support systems, and exercise have all been shown to reduce stress effectively. 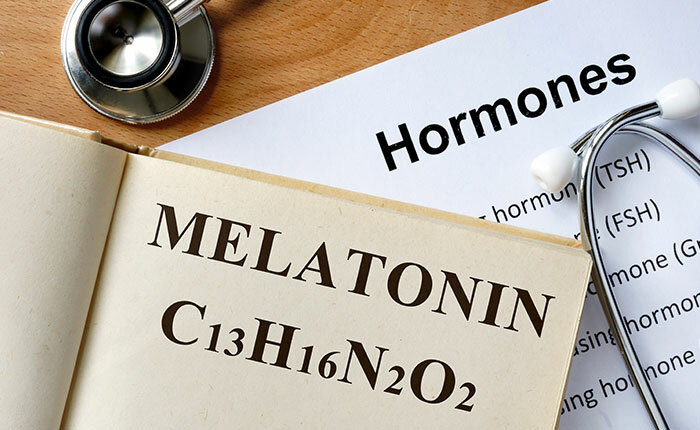 Medication for HT may ease your HT symptoms temporarily; however, until you address the underlying factors, your disease will never improve. Find a trained functional medicine doctor to help you identify your unique root causes of your Hashimoto’s. They can create a treatment plan designed to restore your health and get you feeling like yourself again! Are Unidentified Toxins Causing Your Diabetes? By now, we all know that your diet and lifestyle play a huge role in the complex world of diabetes. However, there are a ton of other factors beyond your control that can exacerbate diabetes symptoms and prompt disease progression. Some of these factors include toxins, which sneak their way into your water, air, food, and home products. In this way, they get into your body so secretly, you’ll never know where to look for them. Over the past 10 years, diabetes diagnoses have skyrocketed along with the level of toxins we can find in our environmental exposures. The poisons we’re exposed to don’t just stay in the environments; unfortunately, they make their way into our bodies. Of course, while one tiny toxin isn’t going harm you drastically, the danger comes in the hoards of toxins that lodge themselves in your cells and won’t leave your body without causing damage. An overabundance of toxins increases your risk of obesity, developing diabetes, and contracting other chronic illnesses. It would be impossible to avoid every toxin the environment has to offer, but you should understand and be able to identify the most significant sources of exposure in order to lower your risk. Keep an eye out for these top five substances that are major offenders of toxic overload. Arsenic can really damage your pancreatic activity, which means that you’ll have decreased levels of insulin. Arsenic exposure is actually pretty easy to come by, with the most prevalent exposure being through drinking water; however, seafood and rice have been found to have high levels as well. Arsenic leads to a plethora of health issues, most notably diabetes, heart disease, cancer, and neurological damage. 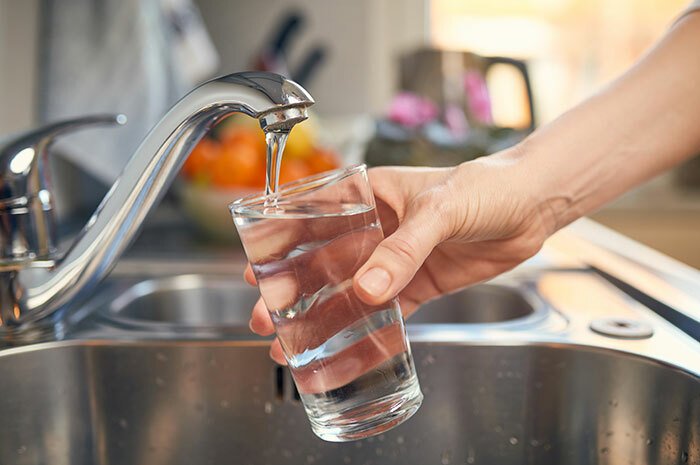 You can avoid arsenic exposure by using a water filter or purifier. Make sure to check the list of targeted contaminants, though, because not all water filters remove arsenic. 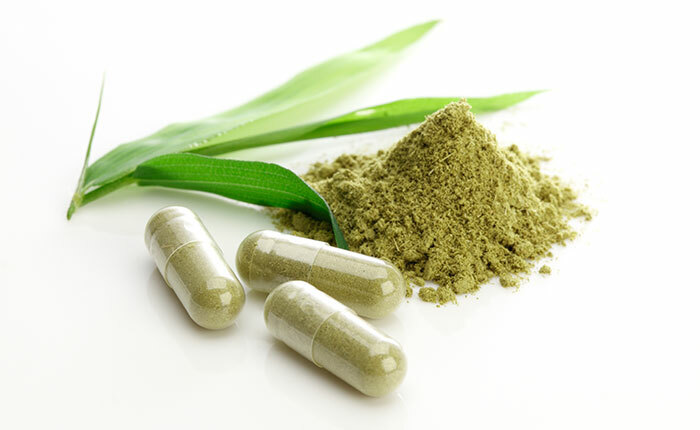 You can also combat exposure by taking supplements that are known to moderatearsenic exposure. These include resveratrol, B vitamins, and curcumin. BPA is a chemical found in plastics and other tupperware like bottles, canned foods, and food containers. BPA wreaks havoc on your body because it blocks the insulin receptors on your cells, which you need in order to convert carbs to fuel. If you can no longer convert carbs to fuel, you will develop high blood sugar, obesity, and low energy. If you’d like to detox from BPA, you can do so by investing in probiotics Bifidobacterium breve and Lactobacillus casei and taking n-acetylcysteine and alpha lipoic acids, which are supplements that are known to bind to BPA. 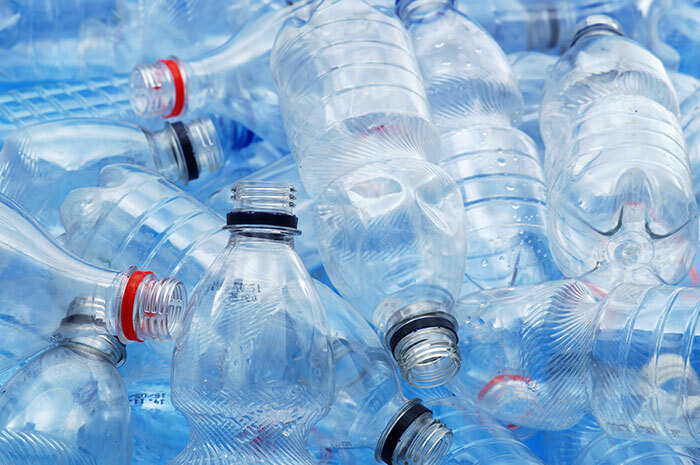 Phthalates are also found in many plastics. They are used to make plastics flexible, transparent, and durable. While this may be a good thing for food conservation, it doesn’t do your body any favors. Phthalates interrupt the production of hormones such as insulin, estrogen, and testosterone. In fact, many countries in Europe have banned phthalates because there was overwhelming research showing the undeniable damage the chemical does to our bodies. Supplementing α-lipoic acid, resveratrol, and curcumin can help you combat your phthalate exposure. If you’re not eating an organic diet, you can be sure that your OCP exposure is pretty high. Pesticides are used on your food, and they make their way into your body pretty easily. Because of this, overexposure to these chemicals becomes a very high probability over an individual’s lifetime. OCPs are harmful because they damage your insulin receptors and give way to diabetes. That being said, to combat your exposure to these pesticides, it’s a great idea to start eating organically whenever you can. Supplements n-acetylcysteine and quercetin can help rid your body of these toxins. The toxins are the widely recognized carcinogens that are known to be in cigarette smoke. However, you don’t need to smoke in order to be exposed to this toxin. PAHs are often found in grilled and smoked meats, urban air, and around fossil fuel burning sites. 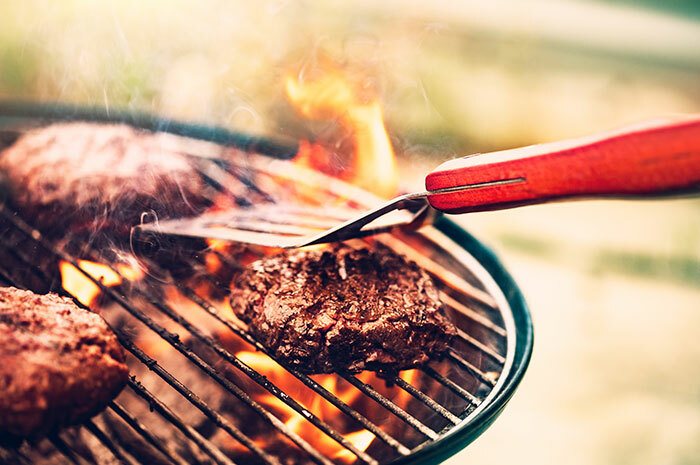 You can lessen your exposure to PAHs by limiting your intake of smoked meats. You can also use high-quality air filters in your home to take control of your environment. It is also very wise to supplement curcumin, vitamins C and E, and quercetin to help your body detox from these harmful chemicals. It may seem like you can’t win when you see all of the ways toxins are impacting your health. But don’t get overwhelmed! This is a great time to regain control over your health. By buying organic, using water filters, and starting a supplement routine, the toxins won’t stand a chance, and you’ll be well on your way to optimal health. Are Whole Grains the Answer to Diabetes Prevention and Treatment? A new study came out this month from researchers in Denmark declaring that consuming whole cereal grains such as rye, oats, and wheat lower one’s risk of developing diabetes. Of the 55,000 participants, just under 13% went on to develop diabetes, and the researchers found that those who ate the highest amount of whole grains (approximately 50g per day) had the lowest risk. So, can studies in Denmark cross the pond to America? The answer is maybe…not. Here’s why. It’s true; for most people, eating whole grains is much healthier than eating refined grains. This is because whole grains like oats, brown rice, quinoa, wheat, and rye have not undergone the processing that removes fiber and other nutrient-containing parts of the grain. This slows digestion and regulates the increase of blood sugar after a meal. Fiber also helps remove toxins from the body while feeding healthy bacteria in the gut. Refined grains spike blood sugar and feed toxic bacteria in the gut. So, you may be thinking that whole grains are the key to a healthy diabetes diet. For some, that may be true, but for many others, it is not the case. The right diet is highly individualized. Many diabetics have lost the ability to effectively break down and use the carbs in whole grains. This is why even the American Diabetes Association now admits that low-carb diets, which would eliminate grains altogether, may be more appropriate for diabetics. One of the lesser-known revelations about type 2 diabetes is that many diabetics have underlying autoimmunity that’s underpinning their disease progression. A significant amount of type 2 diabetics are unknowingly suffering from an immune disorder that damages pancreatic cells, or they have an inflammatory response to insulin itself. In fact, even for those who have a higher risk of developing diabetes due to obesity have a much higher prevalence of autoimmunity. So, what does this have to do with grains? Autoimmunity means there is damage to the intestines that results in leaky gut syndrome. For those with autoimmunity, grain can exacerbate gut damage and lead to worsening symptoms. This may be attributable to compounds in grains called lectins, which irritate the intestinal mucosal lining. Or, it may also be caused by the high levels of toxic pesticide residue that travel into the body via grain and irritate the immune system. Recently, the Environmental Working Group reported that almost 90% of cereal grains grown conventionally contained glyphosate (Roundup), and about 30% of organically grown cereals were also affected. Interestingly, many of these damaging pesticides are not promotedor regularly used in Denmark and may be one of the reasons why Americans are not yielding the same benefits from grains that Europeans are. If you suffer from diabetes, you’re probably sick of trying every fad diet and headline approach to nutrition. The truth is that there is no single diet that will be right for all diabetics. Diets are extremely unique to the individual needs of each patient. That is why we use cutting-edge laboratory testing to identify genetic and environmental factors that allow us to design a successful nutrition therapy for each patient. Is thyroid imbalance to blame for poor mental health? A recent headline caught my attention about a celebrity who’s battling a serious thyroid disorder, and her story shines a light on the explosion of thyroid autoimmunity and complications associated with it. In her case, she developed hyperthyroidism after having a baby. This type of thyroid disorder stems from an overactive thyroid condition called Graves’ disease. 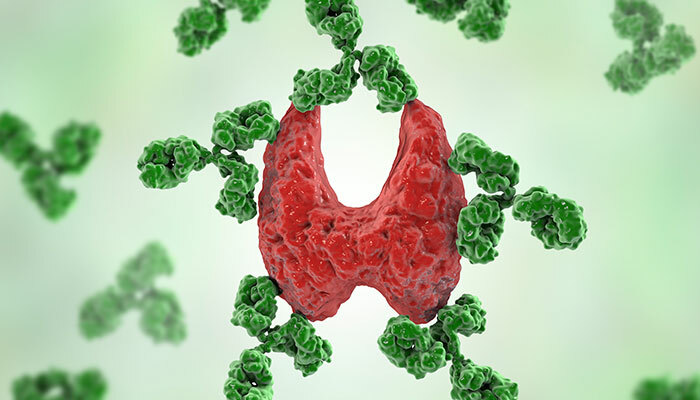 However, the most common thyroid autoimmunity, Hashimoto’s thyroiditis, results in low thyroid activity (and is responsible for over 90% of low thyroid cases). The celebrity was being coaxed by doctors to have her thyroid removed, but she was concerned about the risk of mental health symptoms, such as depression, after a thyroidectomy. Her concerns are warranted, and these often overlooked symptoms of a dysfunctional thyroid are more prevalent than most people know. Symptoms of depression, anxiety, and even bipolar disorder have been connected to thyroid autoimmunity. Moreover, it does not take removing the thyroid gland to create a major mental health imbalance; even minor thyroid dysfunction can mean problems for your mood. Don’t miss the connection between your thyroid and mental health. Low thyroid has long been linked to depression, but researchers have struggled to explain why. A recent study found that patients who had recently undergone thyroid removal surgery had increased local brain functional connectivity, which is related to poor mental quality and depression. It is possible that low thyroid also affects many patients’ brain functional connectivity, resulting in a low mood. However, some studies have found that simply replacing thyroid hormone does not improve depression, and this is likely because one does not cause the other. Instead, there may be a common underlying cause of both thyroid disorders and depression that is left unchecked. Recent research has linked an increased risk of anxiety to thyroid disorders. This is not surprising given that the hypothalamus and pituitary glands are responsible for regulating both the body’s stress response and thyroid production. If the hypothalamus and pituitary are out of whack due to a thyroid imbalance, they may not be signaling or responding to stress hormones properly. Another correlation exists between the high rate of thyroid autoimmunity (over 90% of low thyroid cases) and anxiety. When the immune system attacks the thyroid gland, too much thyroid hormone is released, upregulating the metabolism and leading to a rapid heart rate, excessive sweating, and other symptoms often linked to anxiety. Those with bipolar disorder are 2.55 times more likely to have thyroid disorders and elevated T3 hormone levels. 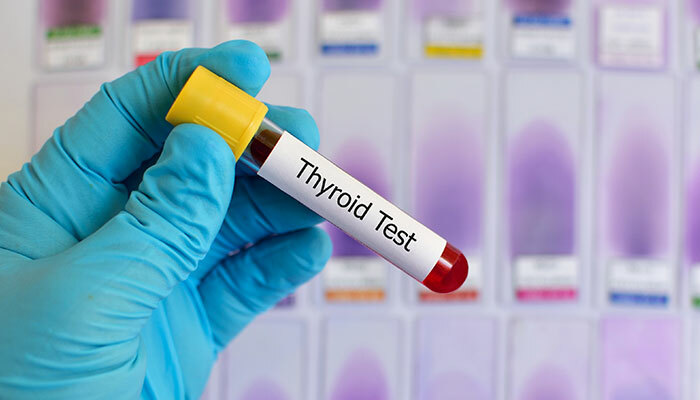 These conditions may seem unrelated, but consider this commonality: Most thyroid disorders are autoimmune in nature, meaning that the immune system launches attacks against the thyroid gland. These attacks ebb and flow, but when the thyroid gland is actively being destroyed, plenty of thyroid hormone is pumped into the body, resulting in increased metabolic activity, brain function, heart rate, and energy. Then, when the damage slows down, the thyroid becomes sluggish. Low thyroid function is linked to low energy, depression, fatigue, and weight gain. These phases may mirror the highs and lows of bipolar disorder. The bottom line is that your thyroid gland and thyroid hormones have a direct and continuous effect on the brain, metabolism, and mood. The more we consider the intricate web of systems throughout the body and how they affect each other, the better we can diagnose and help patients who are suffering. This is why we take a comprehensive functional medicine approach to care, prompting the use of cutting-edge laboratory testing and individualized therapies so that we don’t miss the signs pointing towards the best path for healing. Olive oil is not only delicious but also amazingly nutritious. Extra virgin olive oil is a staple of the highly respected Mediterranean diet, known for promoting health and longevity. This golden oil ispredominantly composed of a monounsaturated fatty acid called oleic acid, which has many beneficial health effects. While olive oil can help support wellness for almost anyone, it’s especially valuable for type 2 diabetics and those who have an increased risk of high blood sugar. Olive oil seems to have especially protective and regenerative effects for diabetics. 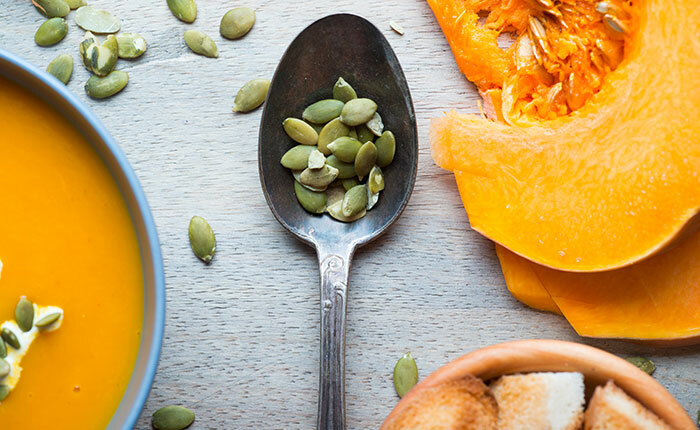 Check out the top three ways olive oil can help you fight the symptoms of type 2 diabetes. Type 2 diabetics are at increased risk of oxidative stress, a condition that occurs when there are too many free radicals and too few antioxidants to neutralize them. This leads to tissue damage and can worsen blood sugar control and other diabetic complications. But olive oil is also loaded with powerful and biologically active antioxidants that can promote healing. Chronic inflammation is at the root of type 2 diabetes and obesity, so anything that calms the immune system and cools down inflammation can benefit chronic conditions like high blood sugar. Researchers think one reason that olive oil has such a potent anti-inflammatory effect is due to a compound called oleocanthal, which works similarly to the anti-inflammatory drug, ibuprofen. Olive oil is thought to reduce the inflammatory marker C-reactive protein and may even inhibit poor-inflammatory genes. A recent study found a fascinating association between type 2 diabetes risk and high levels of a molecule in the bloodstream called branched-chain amino acids (BCAA). Proteins from foods like meat, eggs, milk, soy, fish, baked and lima beans, chickpeas, lentils, brown rice, and many nuts contain high levels of BCAA, which those with diabetes struggle to break down and metabolize. In this study, researchers compared a group of type 2 dietetics who were eating a Mediterranean diet for one year. One group added nuts to the Mediterranean diet base, and the other group added olive oil. In the olive oil group, BCAA levels were reduced and alleviated the association between BCAA and diabetes. This means that the addition of olive oil most likely had a positive effect on the body’s ability to metabolize BCAA. It’s important to note that researchers also say that BCAA levels were not correlated with the amount of protein eaten. Olive oil can be beneficial in mitigating damage and complications associated with type 2 diabetes. Consuming extra virgin olive oil regularly can reduce inflammation, increase antioxidants, and boost your body’s ability to metabolize proteins. Replacing other fats, sauces, and salad dressings with extra virgin olive oil is a great step in the right direction. Olive oil is one powerful tool for fighting diabetes. However, effectively treating and reversing type 2 diabetes means tailoring your treatment plan to your unique body, including fitness, diet, and other therapies. Instead of subscribing to a one-size-fits-all plan, find your path to recovery by identifying the root of your diabetes and heal from the ground up.